Concours of Elegance 2017 will host a number of rare and important historic Bugattis, ranging from the 1930s heyday, to the very latest Bugatti Chiron. A collection of seven models from the legendary French manufacturer will appear in the grounds of Hampton Court Palace this September for the sixth annual Concours of Elegance. 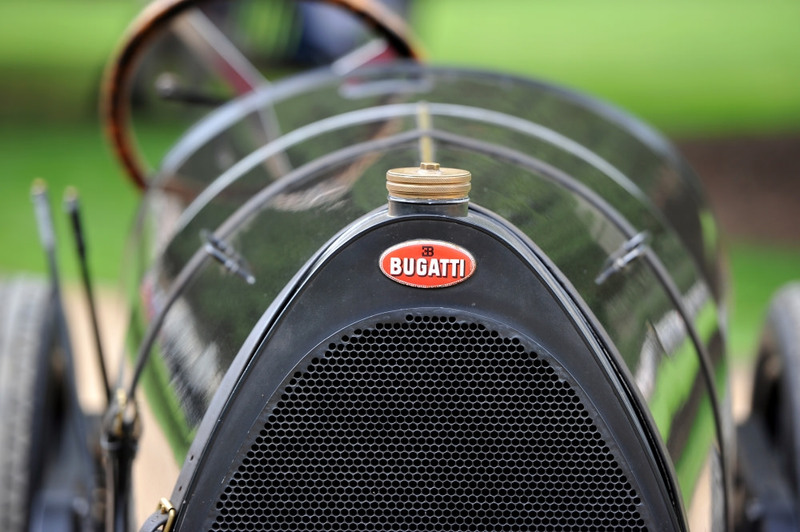 Bugatti’s reputation was made on its Grands Prix results, setting the pace in the ‘20s and remaining competitive into the ‘30s. One such Bugatti grand prix car was the Type 54, and the very first example built is one of the stars of the main Concours event, having been raced in period by Achille Varzi and Louis Chiron. An example of the Type 51, from which the Type 54 was developed, will also be showcased. Bugatti went on to create a roadgoing car from the Type 51, called the Type 55. Featuring the same 2.3-litre straight-8 supercharged engine as the grand prix car, only 38 examples were ever produced, with one of those coming to Concours of Elegance this September. One of Bugatti’s most successful models, the Type 57, will be represented at Hampton Court Palace with two exceptional variants, including the Atalante Prototype chassis number 57254 – the third Atalante built of just 34. Accompanying the Prototype will be an Atalante Rollback Coupé; one of the most elegant Bugatti designs ever, with only 10 built. Completing the showcase of 1930s Bugatti’s at Concours of Elegance is the Type 57 Gangloff Stelvio, which was converted from a Galibier saloon variant, giving it a distinctive design. Despite its many successes and legion of incredible cars, it was the outbreak of World War II, combined with the deaths of Ettore and Jean Bugatti, that caused the downfall of Bugatti. Only in recent years has it flourished once more, particularly under Volkswagen ownership. Most recently Bugatti revealed the fastest production car in the world, the Bugatti Chiron, which will be the newest car on display at Hampton Court Palace. Capable of an electronically limited top speed of 261mph, the Chiron is powered by an 8.0-litre quad-turbocharged W16 engine, producing 1479bhp. It will be the fastest and most powerful car at this year’s Concours of Elegance, and the perfect accompaniment to the 1896 Arnold Benz Motor Carriage also on display, which was the first car to receive a speeding ticket, for travelling 8mph in a 2mph zone.